Price Calculator for Magento 1 (also available for Magento 2) which allows you to dynamically calculate the price based on length, width etc. 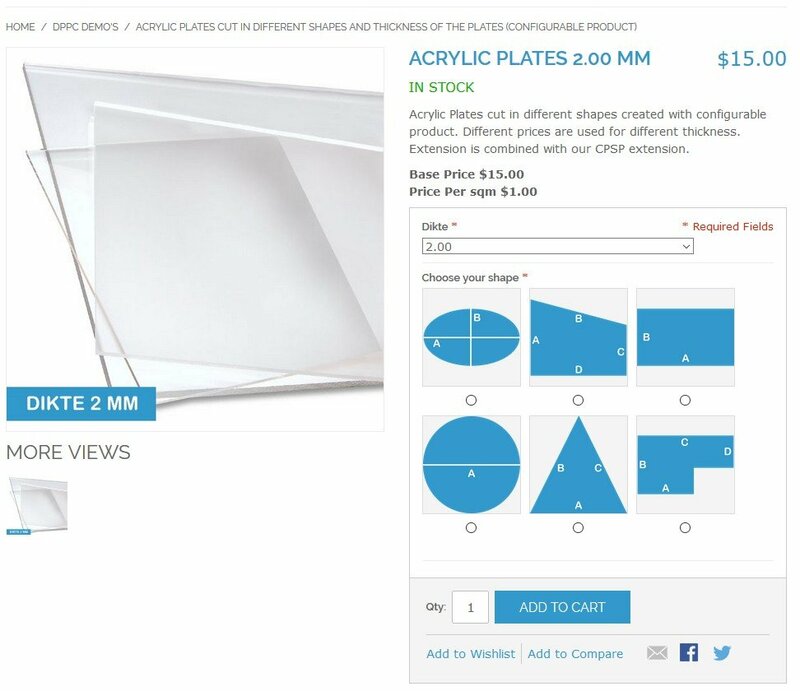 Customers can enter their measurements and find the price. A perfect dynamic pricing calculator for merchants selling variable sized products i.e. sheet material, carpet, tiles, cables, paper sheets etc. Price Calculator for Magento which allows you to dynamically calculate the price based on length, width etc. Uses predifined shapes and formulas. No need to create formulas yourself. Completely integrated in the Magento Custom Options. No core code hacking required. Set the min/max values for the different input boxes at product level. Shape Images can be uploaded. 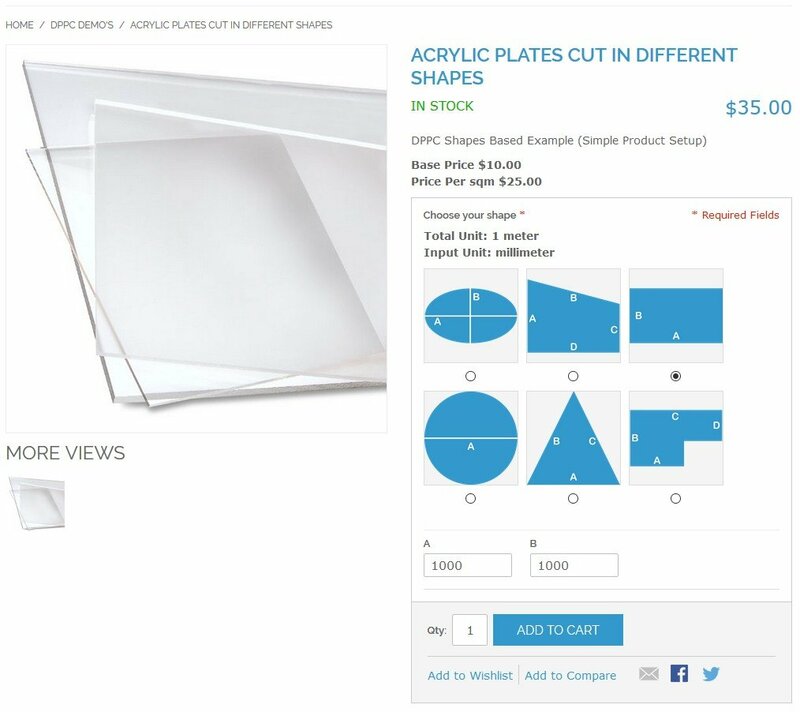 Easily Copy over already created Custom Options to your product with 1 click. Also works with configurable products. 100% compatible to our CPSP extension. This allows you to use different pricing for different variants. To show you the features of this extension we have created several demo's. 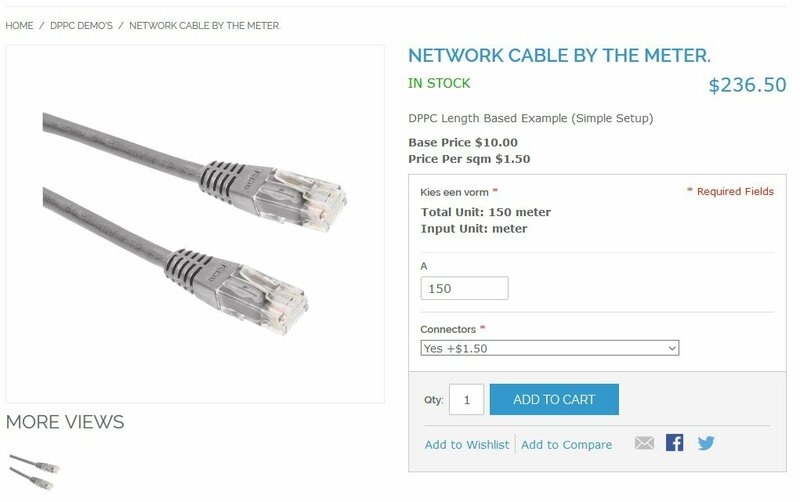 In this demo we show a simple setup for selling cables at a specified length with or without the connectors attached to it. Click here to see this demo. In this demo we show a more complicated setup with different shaps and sizes Click here to see this demo. In this demo we show a more complicated setup with different shaps and sizes The plates are sold in different thickness with different prices. CPSP Extension is required to make this work. Click here to see this demo.